Demands within the aerospace business sector require specific technical advantages and Teflon® is a material that offers those advantages. Typical uses can be for fuel pumps that require the precision application of PTFE coating, with the performance and the integrity of the equipment being of paramount importance. PTFE coating are applied for specific purposes, for example, coated foils for the use in air bearings, also, air control surfaces for weapon guidance systems are enhanced by the precision application of PTFE coatings, no where else in industry is PTFE given so many questions to answer. Electrical connectors that demand resistance values as well as abrasion resistance, primarily for harness manufacture providing many benefits for both civil and military applications. Currently Teflon® and Xlan® coatings play a leading role in major aero engine management systems and prime electro-mechanical devices are also given added value from the specialist PTFE coating treatments. Fuel systems, both inline and refuelling, are areas that PTFE coatings are adequately meeting the requirements of customers, with specific formulations, PTFE continues to perform at the highest level for most applications. 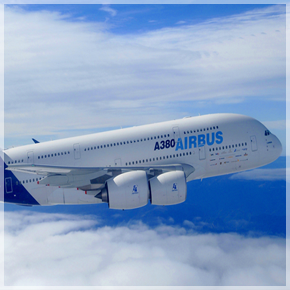 Technical requirements include ever increasing abrasion and environmental conditions, such as high levels of salt spray resistance, PTFE coatings within the aerospace industry are being required to play an ever important role, and suitably meeting those demands.